In my defence, it seemed like a good idea at the time. When I left my full-time editing job at The Sydney Morning Herald a decade ago, it occurred to me that I could write a book about how to pitch stories to the media. Not just any book, though: this one would be written from an editor’s perspective and tell the truth, however ugly it might be. It would be practical. It would be down to earth. It would genuinely help PR and marketing people. Hell, it might even be blasphemous. Surely, I thought in my delusion, this would lead to me bathing in tubs of cash while publishers swooned over me. The only problem was that no publisher even wanted to look at it – and so, fired up, I wrote it anyway and self-published. Well, it didn’t lead to tubs of cash – though it did sell roughly 750 copies and landed me some fun gigs, from a column in The Australian’s media section to working with some PR firms behind the scenes. And yet, when I look back on it, I cringe – which is why I’ve written the second edition. For starters, I’ve learnt a lot since I wrote it. 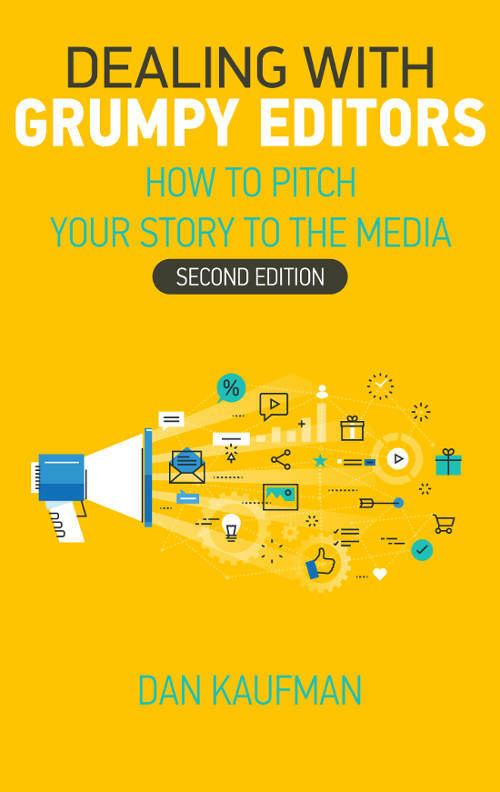 Back then I simply knew what did and didn’t work when pitching to editors – but since then I’ve immersed myself in every aspect of marketing that I could, from usability to email marketing, and so some of what I’ve learnt is now in this second edition. Secondly, I began to identify more with marketers and PR than journos. As I slowly – perhaps painfully – evolved (at least slightly), I also began to empathise more with their plight of pitching to bastards like me. And on top of that, the longer I’m not a journo, the more of a human I’m becoming. Don’t get me wrong: there are many great journos out there. But there’s something about being a journo that, to be honest, has a negative effect on many. Perhaps it’s because you need a massive ego to think you have the right to write for a mass audience. Perhaps it’s working in a high stress, deadline-based environment. Then again, maybe it’s simply the annoyance of receiving countless pitches every five minutes of every working day that warps you. Either way, many journos have a chip on their shoulder and, although I tried not to be one of them, in retrospect maybe I was. And so, on that note, the second edition of Dealing with Grumpy Editors is now available. You can buy it from Amazon for $4.70, and if you print it out and buy me chocolate cake or whiskey I might even autograph it for you.